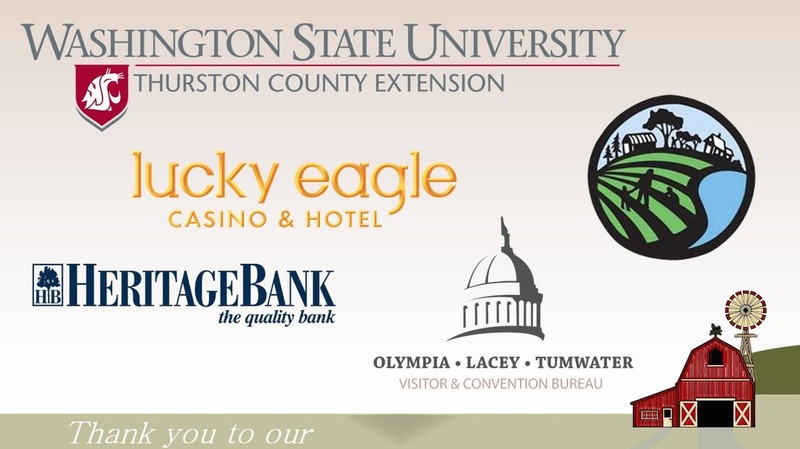 Thanks to all participants, providers of the auction items, sponsors, partners, chefs and food and beverage providers for a successful 2013 Farms Forever Dinner held September 21 at the Expo Center at the Thurston County Fair Grounds. Farm to Table: "Outstanding in Their Fields"
Kirsop Farm's third annual farm to table dinner was hosted at Acqua Via restaurant November 16 with an outstanding menu prepared entirely from Kirsop Farm products by Chef Will Taylor. Participants toured the farm earlier that Saturday afternoon. Proceeds of this delicious meal and farm tour went to benefit South Sound Community Farm Land Trust. SSCFLT's 2012 Annual Meeting was held on Jan 27, 2012 at the South Bay Grange from 6 to 9 pm. There was a pot luck dinner and live music with an update from the Food Summit by TJ Johnson and a short business meeting, as well as a raffle of farm related products. New connections were made, business was accomplished, and a good time was had by all. October 15th was a ‘roll up your sleeves’ conference at the Thurston County Fairgrounds where participants learned about our current local food system, clarified our vision for the future, and started building the roadmap to get us from today to tomorrow. The food summit was the capstone of a series of events throughout the fall and summer called Focus on Food. Events leading up to the summit included tours of local farms and gardens, events and programs at local Timberland Regional Libraries, discussion groups, and other opportunities to learn about the food system, our local food economy, and options for a more sustainable food future. Thurston Crop Mob: September 17th, 2011: South of the Sound Community Farm Land Trust sponsored the first “Thurston Crop Mob.” Half a day spent on a local sustainable farm, helping with planting, weeding, or harvesting, etc, while networking with other volunteers. After a few hours of good hard work, we shared a delicious meal provided by the farm. We are currently looking for volunteers to plan and coordinate future Crop Mobs. Crop Mobs are springing up around the country as the local food movement grows. The first Thurston Crop Mob was held at Left Foot Organics on September 17th 2011. To learn more about the history of crop mobs visit: http://cropmob.org/about. For more information about Left Foot Organics go to: http://www.leftfootorganics.org>. 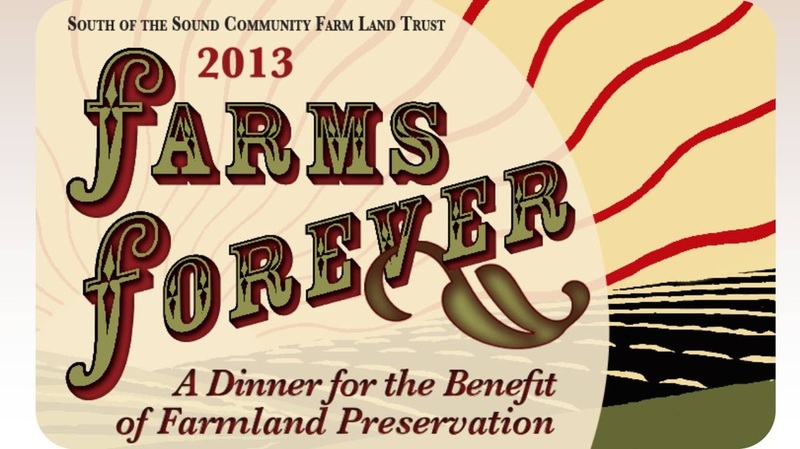 March 24 2012, 4:30-9:00 p.m. Thurston County Fairgrounds, Expo Center "Farms Forever" was a gala dinner and art auction, the annual fundraisier for South of the Sound Community Farmland Trust. This farm-to-table event featured a gourmet local menu, artisan pies and a live and silent auction. The live auction consisted of farm experiences, services and fine art, including an original artwork from Nikki McClure. We had live music with local bluegrass from the Oly Mountain Boys. There was great food, auctions, music, and people; all for a great cause! 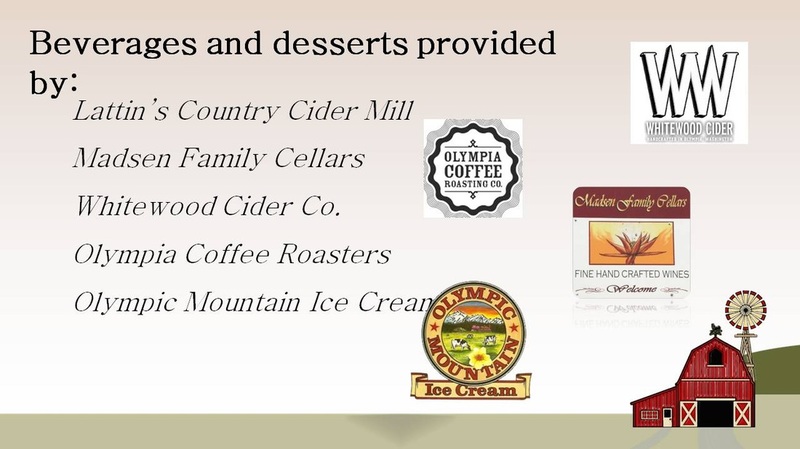 Thank you to our sponsors and beverage and dessert providers.